Campaigners are today celebrating the “saving” of England’s public forests. But what about the real issue of who owns England’s publlic forests? And what if all that has happened is that the UK government is preparing to hand the entirety of England’s public forests over to an industry-dominated quango? The UK Government today published its response to the Report from the Independent Panel on Forestry (IPF) which was set up to review the future of England’s forests in the aftermath of the huge public outcry over plans announced in 2010 to sell parts of the English Public Forest Estate. In this brief blog I want to draw attention to Section 9 and some interesting proposals on ownership of England’s forests. 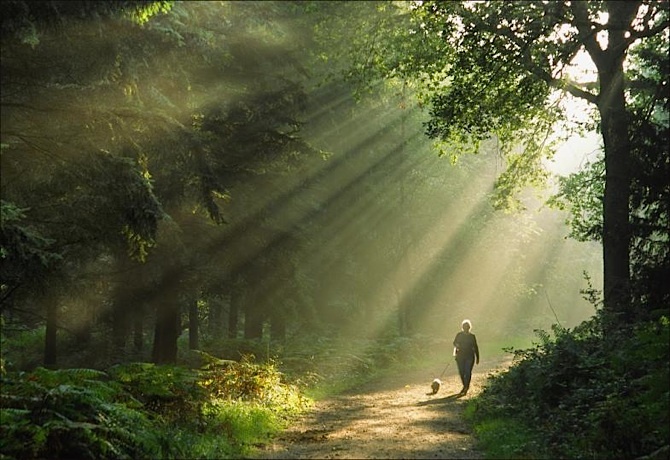 It is popularly thought that the Forestry Commission GB (FC) owns the public forest estate in Great Britain (state forests in Northern Ireland are managed by the Forest Service of Northern Ireland). In fact the FC owns no land at all. The public forests across GB are owned by Government Ministers. In Scotland this the Scottish Ministers. In England it is the Secretary of State for Environment, Food and Rural Affairs and in Wales it is Welsh Ministers (though the FC in Wales is about to be merged into a new body Natural Resources Wales from 1 April 2013). The outcry that followed the UK Government’s plans to sell “up to all” of England’s public forests led to a huge public campaign to “Save Our Woods” and to the establishment of the IPF and a today’s announcement from DEFRA. The public in England clearly want “their” forests to stay in “public ownership”. But this begs the question of what form of public ownership is best suited to serving the interests of the public. My own view at the time was that England’s forests are not really public forests at all – they are state forests owned by a Government Minister who has the freedom to do as he or she likes within the law and subject to Cabinet approval. The public are not involved at all (and the same applies in Scotland and Wales). I wrote an article for the Observer at the time arguing that if folk want public forests they needed to think about ownership and consider a new model of public ownership that is removed from Government and is more local and accountable to “the public”. I cited the example of public forests in France, for example, where 20% of public forests are owned by 11,000 communes (30% of France’s 36,700 communes or municipalities). So it is with some interest that I note that the UK Government intends to abolish Forestry Commission England and replace it with a “new, separate Public Forest Estate management body to hold the Estate in trust for the nation.” (Section 9 of DEFRA Response). The response, however, avoids the question of ownership. This new body will manage the English Public Forest Estate but it will not hold legal title to the land and will thus be in the same relationship to Government as the FC is today – the manager of state-owned land. This proposal is fraught with risks for those who think they have “saved England’s forests for the public”. The Confederation of Forest Industries (CONFOR) has issued a statement welcoming the Government’s response in enthusiastic terms. I would not be surprised if in a few years time the new management body emerges as an industry-dominated quango, liberated from all but the remotest of control from DEFRA and in charge of the English Public Forest estate. I fail to see how that addresses the principal concern of campaigners – to keep England’s forests in public ownership and under public control. Clearly this proposal provides a whole range of new uncertainties about the future of English forestry and there is a real danger that the new body will become captured by corporate elite interests. The move also heralds the end of the Forestry Commission itself which will soon no longer be a GB body given its forthcoming abolition in Wales. In Scotland, the FC is not devolved although forestry policy is as is the ownership and management of the Public Forest Estate in Scotland (and FC GB has its headquarters in Edinburgh). The Forestry Commissioners remain a body corporate appointed by the Queen but for how much longer? Do the developments in England signal the final full devolution of forestry to Scotland and the end of the Forestry Commission here too? Such an arrangement I suggest would also help to ensure the public ownership of England’s Public Forest Estate. I do wish you wouldn’t let your enthusiasm for legal niceties keep obscuring the fact that it really doesn’t matter whether, technically, Applecross Trust is a trust, the Crown Estate Commission owns the Crown Estate or the Forestry Commission owns the national forest estate. The real issue is not who owns these properties but where the control over them emanates from. You say the FC is not devolved in Scotland. Are you sure about that? What about section 1(4) of the Forestry Act 1967 which was amended by paragraph 4(3) of Part II of Schedule 12 of The Scotland Act 1998 (Cross-Border Public Authorities) (Adaptation of Functions etc.) Order 1999 (S.I. 1999/1747) made under section 89 of the Scotland Act 1998 to require that the FC exercises its functions in Scotland in accordance with the directions of the Scottish Ministers? Does that no longer apply? I could see some merit in FCS being merged with SNH and for them to manage their joint estate (to whomsoever it may technically belong) in accordance more localised control but not at the expense of creating yet more quangos. Are your proposed regionally elected Forest Boards as well as or instead of the new Local Natural Resource Agencies you propose on page 17 of your submission to the LRRG? On the contrary these legal niceties matter very much. Indeed I seem to remember you spending weeks haranging me on twitter over the precise status of the Applecross Trust. it is precisely these “legal niceties” that are at the heart of the issues discussed in this blog because they are being avoided in the debate over English forestry. The legislation you refer to applies of course – the functions of the FC are devolved but the FC is not devolved. Forestry Boards would be replaced by LNRAs if local government reform were to be implemented. The reason I challenge you on these issues of legal nicety is because you elevate them to a status they don’t deserve. They are NOT “at the heart of the issues discussed in this blog”. What is at the heart of these issues is control of land and accountability for it (whoever happens to own it). Once these fundamentals are bottomed out, minutiae about the precise legal status of ownership can tidied up in Schedule Umpteen of the Reform Bill. And BTW, you’ve just done it again with the observation “the functions of the FC are devolved but the FC is not devolved”. I presume by “the FC is not devolved” you’re referring to the fact that there’s a single UK wide Commission (it’s a “cross-border public authority” in the jargon of the devo legislation – ergo, neither is it reserved). But *what does that matter* when the Forestry Act clearly states that it must exercise its functions in Scotland in accordance with the directions of the Scottish Ministers? Focus on the core issues without muddying the water with “how many angels can dance on the point of a [pine?] needle” side issues. I disagree. For me ownership arrangements are central to the issue of control. You can;t really discuss control without addressing “legal niceties. It matters to you too otherwise you would not have spent weeks – yes haranguing me – on twitter about the legal niceties of Mount Stuart Trust & Applecross Trust. Well, we’ll just have to agree to disagree. It doesn’t matter to me – I was challenging the fact that it seems to matter to you so much. And I wouldn’t have had to have “harangued” you if you’d just produced the evidence which you had all along (which I assume you got from Registers Direct)! In response to Neil King’s Local Natural Resource Agency & quango’s question. In the early 1990’s I worked for Scottish Natutal Heritage during the quango boom period of Conserative governments. Upon leaving SNH in 1997 I have been an avocate of the creation of LNRC agencies. Why. Very simple. Greater public sector efficiency and greater involvement and empowerment of local communities by bring natural resource agencies under local democratic control. A simple example of a crofter forestry application demonstrates the crux of the issue. On Monday the crofter representative meets the Crofter Commission to discuss their application; on Tuesday Scottish Natural Heritage; on Wednesday the Deer Commission (now thankfully merged with SNH); on Thursday Forest Enterprise and so on, etc. Mean while the crofter has to earn his living for the week not in crofting but off-croft in other forms of employment/business. Furthermore, each of the above mention Quango outfits operate from separate local or regional offices. The common sense approach is to send one official to deal with the whole process. This will only happen if the quangos are disbanded and one unified local agency is created in which the appropriate staffing numbers are co-located in one office with one teapot and one boss. An industry dominated Quango charged with managing ALL land that is currently in the PFE portfolio is surely preferable to NGOs cherry picking the better woodland (the most profitable in terms of potential income from leisure – rather the more important in ecological terms, as these would need serious capital). As one of the campaigners with Save our Woods – the principal platform for progression we pushed for towards engaging public with the forests they see as theirs was using the European Landscape Convention. As the existing quangos and NGOs have created a wall against this progression and struggle even to acknowledge the existence of the ELC, we are far from a solution that will enable public to feel like they have any say at all in their forests beyond hard the campaign to halt sales. The next stage of our campaign which has already started is to push for the real text of the ELC to be implemented. The actual ownership is not therefore in question just the right to question, which will probably be more difficult than community purchase. A State Forest Service in England was doomed as soon as the Tories embarked on an attempted sell-off of the PFE back in 2011. As with all Tory Governments, prejudice ranks high amongst its motivating reasoning. I listened/read the contributions from Tory peers during debates, and heard the authentic voice of those who wanted market forces to determine wood production (holding back wood until prices were high) rather than have a system that ensured supply – the original basis of foundation of the Commission and its land purchases. The panel came up with the solution that still allows the Government to fulfill its prejudice, but less crudely than selling off the PFE. The status quo was never an option, when it should have been. Andy is right that the document says nothing about how wood production on the “PFE” will be determined. I am sure that there is every intention that in a few years time, the new management body will emerges as an industry-dominated quango. I think ownership does matter but more important is the decision making on management which I believe should gradually, as capacity develops, move to local. It should not be about communities having to buy the forest but about them taking control of the management. Unfortunately there appears to be no appetite for the the merging of agencies in England. My experience of countryside management goes back a long way and I support a concept floated in the 70’s by the Rothschild Think tank to form a countryside service along the lines of the police. A national brand and structure but local control. Real success is about people and to understand the countryside you have to be out there not a manager in an office producing plans but someone who knows the land and, more importantly, the people who live on it, visit it or benefit from it. The existing structure leads to specialists covering huge areas rather than local knowledge and understanding. A forester would be based in an area of forestry but would have a broader remit and an ecologist would be located close to sensitive areas but they would cross over as required bringing their individual expertise or intimate local awareness. Unfortunately the UK (and English) government is fixated on scale dismissing local control so it is not surprising that they fall back on a solution that is really want they wanted in the first place. I presume the ‘plan’ is that this monster will start to ramp up profits due to its freedom to operate as a business and the contribution from the State will disappear within a few years. They forget the capacity of the corporate world to out fox government to ensure they maintain subsidy. The move for social enterprise to be re-defined along American lines will allow access to very large sums of social investment finance. Up to 50% of the profit could then go to ‘investors’ and directors. I do not see any people power in that.